Not all companies are created equal – and that’s a glorious thing in any industry. In the trucking industry, every carrier operates a little (or a lot) differently, and things are in constant flux. And if you have a smaller fleet or are just starting out, you may think that you aren’t a good fit for applicant tracking software. Smaller fleets don’t always have a continuous need to onboard new drivers. And when you’re not hiring drivers, you don’t need to give your driver qualification files a lot of attention, either. Yet, you still recognize the tremendous value applicant tracking software creates. No more searching through excel spreadsheets, physical file cabinets, or various websites. All your clicks can be made in one neatly-packaged, integrated system. You save a ton of time, and are ahead organizationally. Now, if only you could pay for this software when you use it, and not just because the 1st of the month appears on the calendar. Tenstreet clients have traditionally only had the option of honoring a recurring monthly payment plan. But after speaking to several smaller fleet clients, we became enlightened – usage can vary drastically across the calendar year for these carriers. For months at a time even, the Xpress dashboard can go entirely unused. So again – why should you have to pay for something you don’t use?You should not. In order to support this segment of the market, we created a new business model – a super slick, pay-as-you-go, no contract subscription service. Tenstreet’s On Demand service gives clients the power of choice and flexibility – so businesses won’t pay (literally or figuratively) simply for focusing on an area of the business outside of recruitment, processing, and DQF. With On Demand, you simply don’t pay for the months when you’re not using your dashboard. And when you need it, you insert the proverbial coin and pick right back up where you left off. (2) one of your drivers has a missing or expired document. These emails include a preview into your dashboard and display applicant and/or missing and expired document(s) details so that your curiosity doesn’t tempt you into paying for another month of service when it may not yet be necessary. DQF – a module that tracks the status of all your DOT-required and non-DOT-required documents for your hired drivers, complete with a missing and expired document report – helping you pass any audit. Shoot an email to one of our On Demand specialists today, and take a quick tour if you like. Another beautiful thing? There’s absolutely no set-up or wait time. When you give the word, our Welcome email and User Guide are delivered to your inbox in minutes – and you’re off to the races. It couldn’t be any easier. Want to get right to it? Call Jeff today at 877-219-9283. Thanks, Nick! 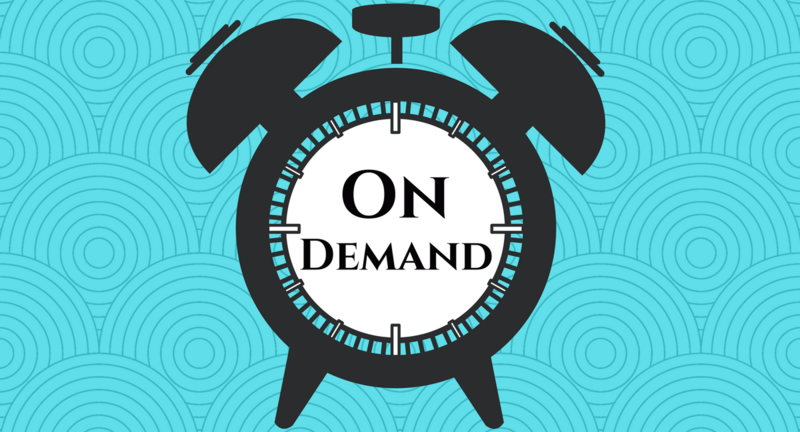 We’ve sent your information over to our On Demand team, they’ll be contacting you shortly! Thank you for reaching out. Great Zayna! We’ve passed your information on to a member of our team who should be reaching out to you very soon!